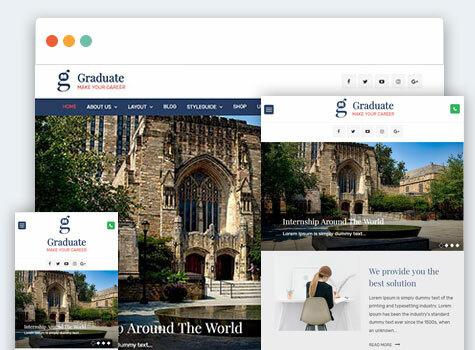 Graduate is an educational theme developed by Yam Chhetri. 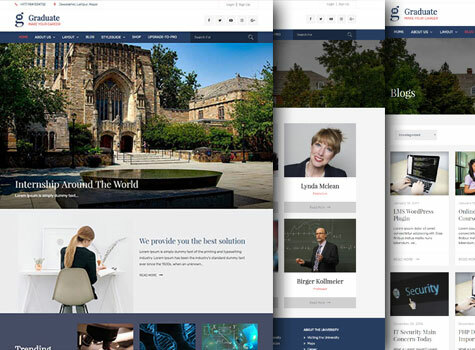 It is a multipurpose WordPress Educational Theme suitable for school, college and university. It’s eye appealing design and highly dynamic features uplifts your organization’s reputation. It comes with multiple colors and layouts to support your organization’s branding. It comes with a wide variety of options so you can modify Layout, Styling, Featured Slider, Menus, Breadcrumb, Widgets and much more, directly from theme customizer. Graduate can be adapted to any kind of industry – not only educational but also in any kind of academy. 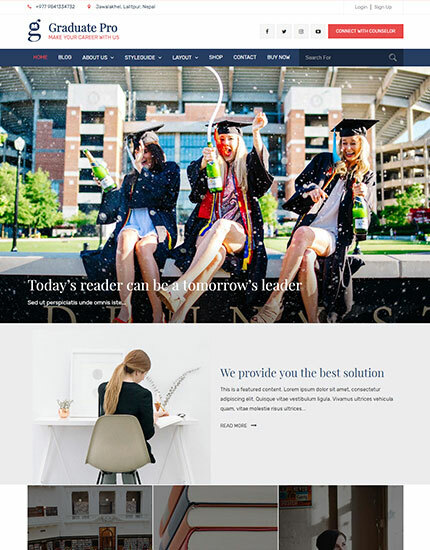 This theme is TP Education and WooCommerce Plugin compatible, translation ready and major browsers supportive. 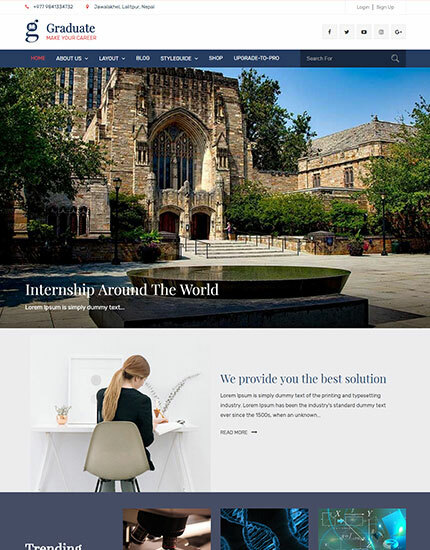 Graduate has integrated WooCommerce Plugin. You can sell your products right away. Graduate has integrated TP Education Plugin. It is highly compatible with this plugin and supports all the elements and layout for all the post types it provides. Graduate has full support for responsive design. 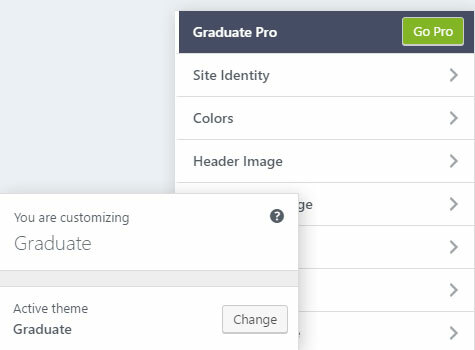 Graduate provides you ease on customizing theme options and home page sections.